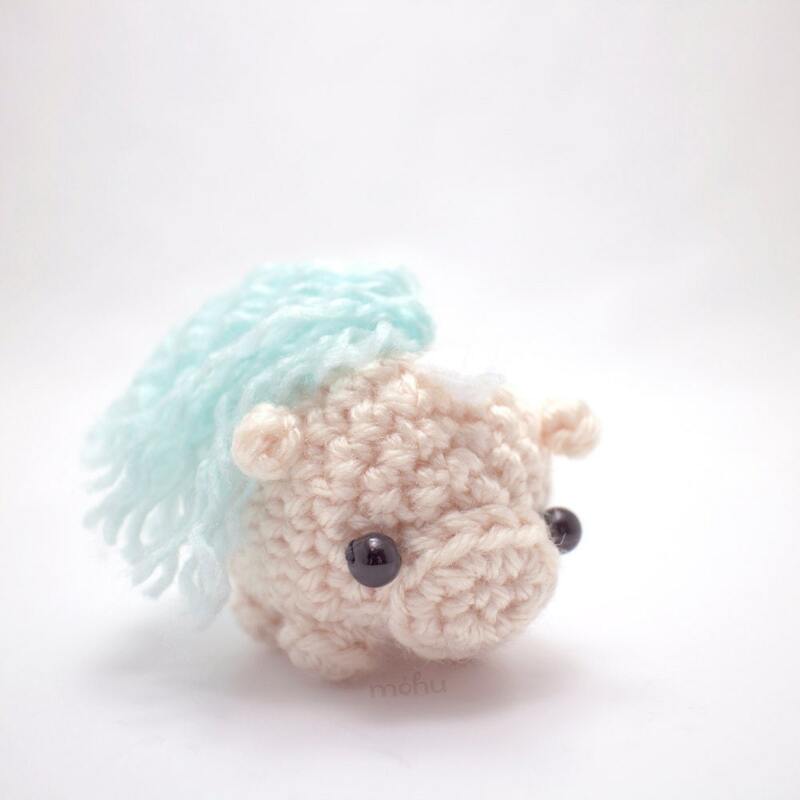 A crochet pattern to make your own amigurumi unicorn or pony. 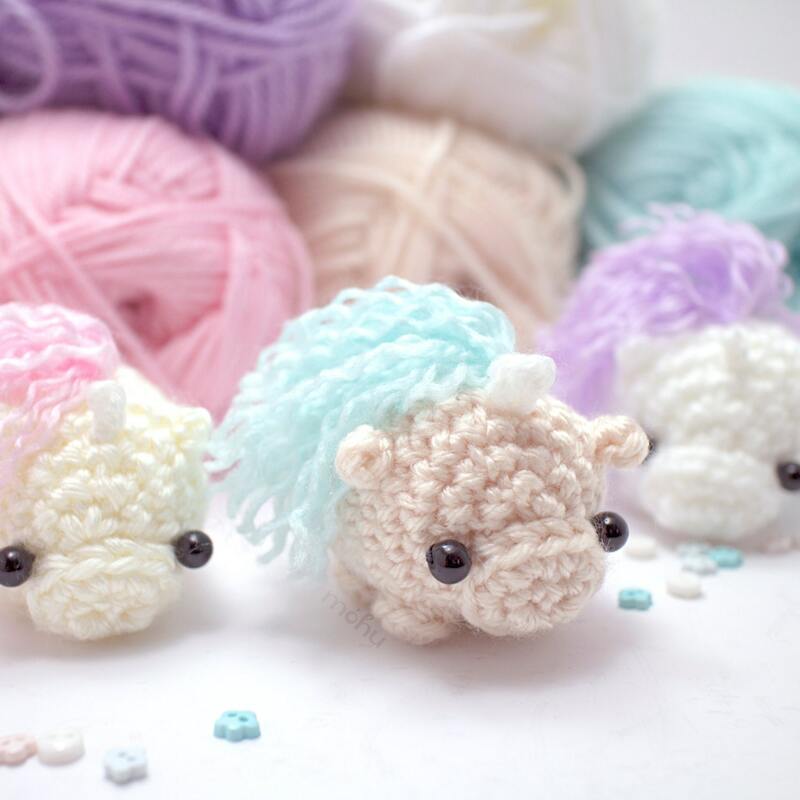 The downloadable pdf file includes a written crochet pattern, lots of photographs, and detailed instructions for making your unicorn's mane and tail. US crochet terms are used. The pattern is quite easy overall, with some slightly trickier parts (like the mane and snout). 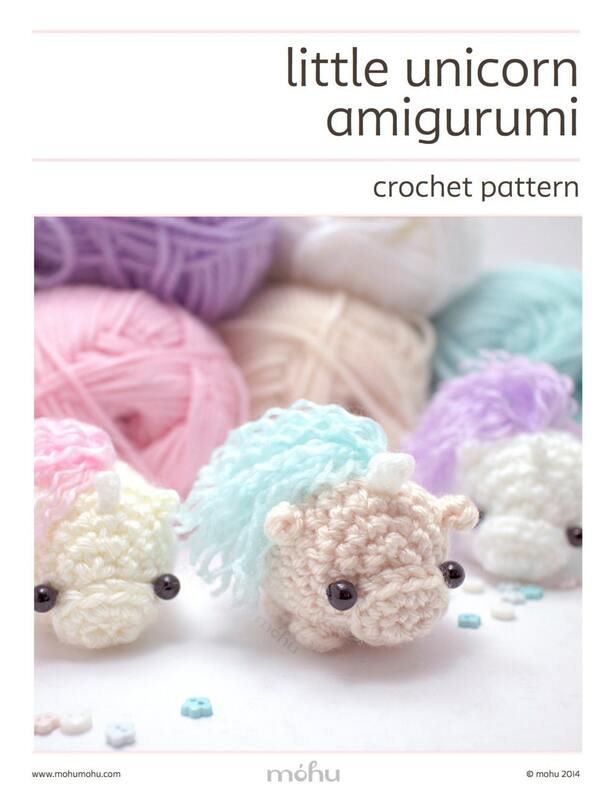 Gauge isn't too important for this amigurumi, and the pattern will work with different weights of yarn. The example is made using medium (worsted) weight yarn and a 3.5mm (E) crochet hook, and is about 5 cm /2" long (excluding the tail). You'll need small amounts of yarn in your chosen colours, and a little bit of white for the unicorn horn. The amigurumi also requires some stuffing, thread, and 6mm black beads or safety eyes. 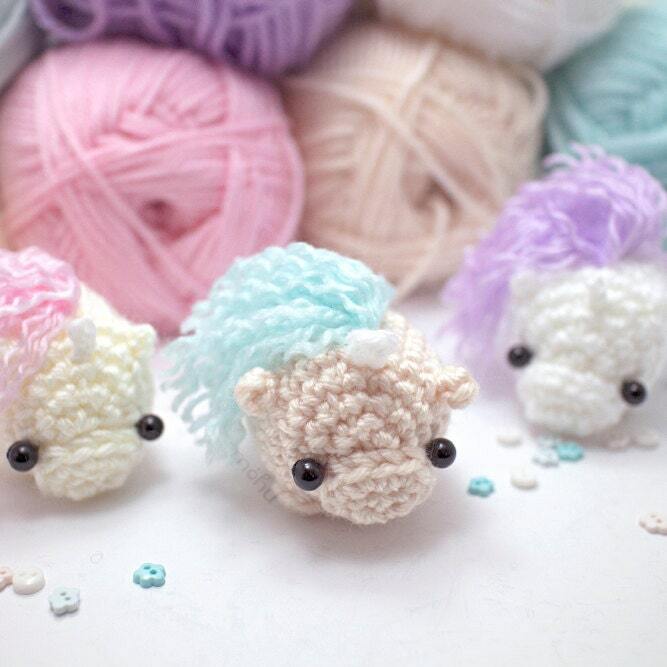 Once you purchase the pattern, you'll be able to download it directly from your Etsy account. Please feel free to contact me if you have any questions, or need help with the pattern. Super cute results from a super easy-to-follow pattern! These little guys work up great! Love all patterns by Mohu!